Very good training for practical exercise preparation. S.T.A.R.T. Triage Certification Course is a wonderful program and i thank the initiators so much. After going through the course my knowledge in disaster management has improved dramatically. Its really a challenging, mind blowing, real and interesting course. I love this course. I will recommend this to all interested in emergency and disaster management. Many thanks to Dr Roxanne for introducing this to us up north of Ghana. Excellent, interesting and self-explanatory course. Thank you to the instructor. This is by far one of the best triage classes I have taken. This is also one of the best online classes I have taken. The way the scenarios are done is awesome. Congratulations on a well-designed course. I am impressed by the depth of content as well as the computer graphics (that really help you envision the MCI). Cannot wait to have all of my MCI students in Ghana, West Africa complete this course. Thanks for all of your work. This triage course provides the most comprehensive and easy to follow format that I've ever seen. The videos, graphics, simulations, explanations, and areas of immediate feedback were outstanding. Highly recommended! I thought I knew how to triage. Now I do. Great course! I was ready for yet another triage PowerPoint. This course was more than I dreamed. I now feel fully prepared to be an effective resource in an MCI. Great Job Jeff. An expert with a unique touch for teaching. Jeff has experienced first hand the evolution of triage and the management of Mass Casualty Incidents (MCI). With over a decade of practice in the EMS industry he has developed a working knowledge of effective MCI response procedures. As a workflow analyst, he has developed a unique set of skills to better process and explain procedures in an informative and memorable way. Now a consultant for EMS agencies in the United States and abroad, Jeff spends his time training the next generation of first responder equipment. Its process is not based on 'How it is done' as in many EMS courses today but instead incorporates 'why it is done' so that students have a thorough and thorough understanding of the subject. If you are reading this you are aware of the dangerous world we live in and want to make a difference. There is no greater challenge that could be asked of you than to respond to a Mass Casualty Incident. The skill-set and quality of training that you possess has a direct impact on the number of lives saved. This course is designed to provide you the knowledge you will need to optimize your effectiveness in all aspects of MCI triage. Through immersive video-based lessons you will learn all aspects of S.T.A.R.T. 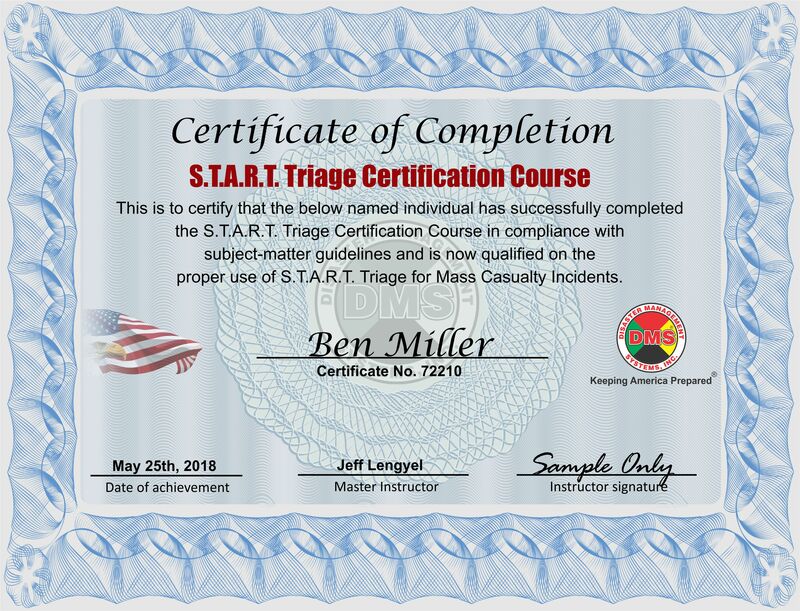 triage and its proper application as well as develop an complete understanding of first-in MCI scene management and leadership roles and tactics. This course takes you beyond knowing what S.T.A.R.T. triage is, it ensures you have the tactics to use it. The time prepared is now. For those dedicated to the subject matter and successfully complete the final exam a certificate will be awarded indicating your proficiency at effectively understanding and utilizing S.T.A.R.T. triage in an MCI. What are you waiting for? All aspects of S.T.A.R.T. triage and why it is used. The necessary equipment to conduct triage accurately and safely. 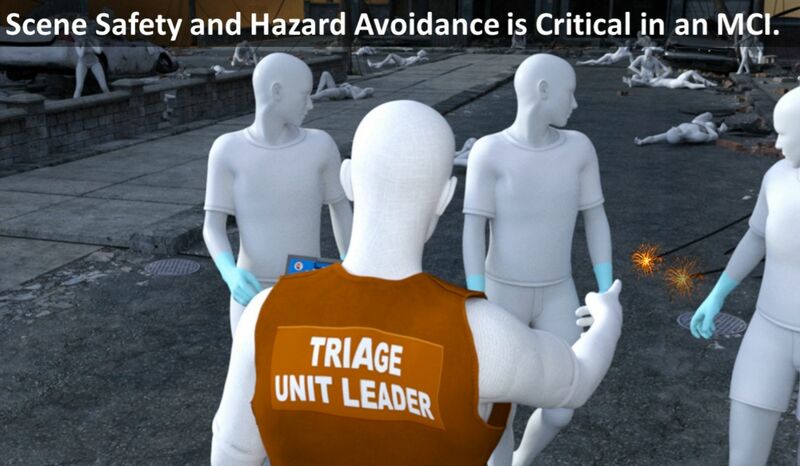 The roles and responsibilities of triage team and Triage Unit Leader. Proper tactics on how to triage effectively in a mass casualty incident. Access to the entire course study guide and reference material. Post triage procedures & MUCH MORE!